Why does the tool crash when I try to open a net? Prior to version 1.5.7 the tool would crash when loading a net with declarations with syntax errors. 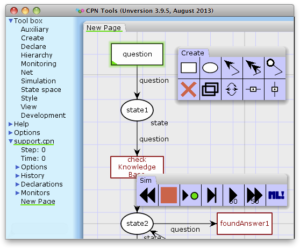 Please update CPN Tools to a more recent version. Why can’t I see the GUI when I start CPN Tools?